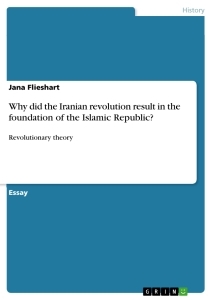 Why did the Iranian revolution result in the foundation of the Islamic Republic? The Iranian revolution of 1979 resulted in the declaration of an Islamic republic and consequently overthrew the Iranian monarchy, the Pahlavi dynasty . It gave rise to Ayatollah Ruhollah Khomeini and his new form of government, based on partly democratic, partly theocratic values . 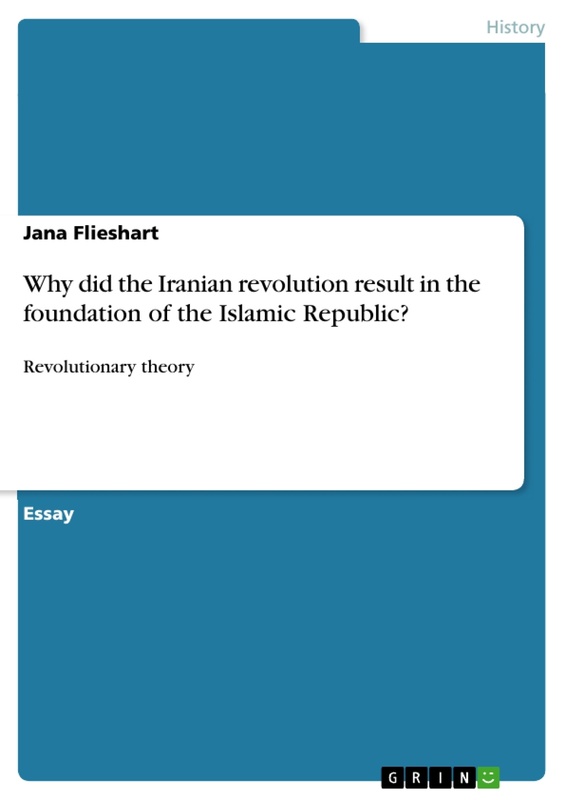 In order to understand why the revolution resulted in the foundation of the Islamic republic, various aspects have to be taken into account. It is crucial to examine the situation by looking at two components of the revolution. Firstly, the economical and political aspects of the revolution have to be discussed to judge its influence and implications. Secondly, the religious characteristics of the Iranian revolution have to be assessed in order to comprehend its significance for the revolution. Various revolutionary and sociological theories have to be evaluated in relation to the great changes in Iranian society predating the revolution. Finally, there has to be an assessment of why the Iranian revolution could not have resulted in another form of government which will achieve a balance of the argument. To comprehend the full extent of the Iranian revolution, it is vital to examine the history of Iran to some extent, especially the ancién regime. When Mohammed Reza Shah Pahlavi became the ruler of Iran in 1941, he succeeded his father, Reza Shah Pahlavi, as the last Shah of the Pahlavi dynasty. Iran, formally known as Persia, had a long history of monarchical rule but the Shah predating the 1979 revolution was much more powerful and aristocratic in his reign than his predecessors . This alone shows that it was not only the monarchical rule that had lead to a revolution in Iran, but that it was possibly rooted within the nature of the Shah’s reign. Said Amir Arjomand describes that the collapse of a regime is caused by two factors: the internal weaknesses and vulnerabilities of its social structure; and the concerted action of social groups and individuals towards it . Many approaches that the Shah took during his period of influence, such as rapid westernization, certainly fit this theory, which is supported by Samuel Huntington. He believes that a clash of western ideology with the Islamic world, implemented by the Shah’s reforms, is a natural consequence of the significant differences in faith and values since the eve of religion . The case of Iran certainly supports Huntington’s and Arjomand’s theory and shows that a western capitalist based model of modernization can lead to great confusion within the masses and vulnerability of the regime. The division between public sectors and the state, and private sectors and the market became obvious during the upheaval of the revolution. With the Shah’s implementation of western and capitalist based values and modes of production, he disrupted a traditional society and caused a change in the class system of Iran . His rapid process of modernization resulted in the unbalanced establishment of new sectors. It seemed that he set his priorities imperfectly and caused social change without considering its consequences. He introduced colour television while more than half of the population were still illiterate, and amusement localities preceded the development of a sewer system or public transport . An additional factor which caused the ancién regime’s vulnerability could be explained by the theory of Iran being a ‘rentier’ state, developed by Hossein Mahdavy in 1970. The theory describes a state that receives a substantial amount of external economic rent on a regular basis and can explain, to an extent, why a religious revolution was possible and perhaps necessary . 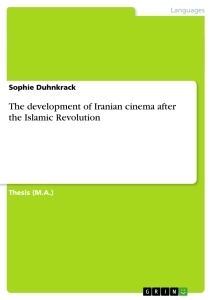 Theda Skocpol describes the Shah’s relationship to the Iranian society as less embedded, especially into the rural society . Due to the increasing reliance on exports of oil and natural gas, the state developed an ill relationship to society, dominated by expenditures like military modernization and modern construction. With it, the role of the clergy and their authority changed dramatically . A growing influence of foreign nations, especially from the USA, developed during the 19th Century which could have also been another seed of the religious revolution in Iran. 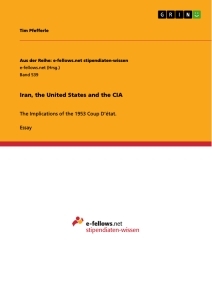 The influence of the United States was increasing and documents of the National Security Archives clearly show their position and intentions during the years preceding the revolution in Iran. The US information and education exchange program set its main goals in distributing propaganda without raising suspicion of foreign influences. The document outlines the arrangements for the implications of the latter. This includes the complete revision of the Iranian education system, altering it towards western ideology and showing the proposed weaknesses of communism. It briefly describes the difficulty of imposing changes and new values into the religious establishments and mentions that special materials have to be designed in order to implement US ideology into the Islamic sector . However, the whole document disregards the importance of religion which could indicate that the weakness in misjudging the influence of Islam in Iran was not only due to the Pahlavi regimes mistakes. US National Archives. Record Group 59. Records of the Department of State. Decimal Files, 1950-1954, United States Embassy, Iran Cable from Henry F. Grady to the Department of State. "Proposed New Program for USIE, Iran," July 6, 1950.